After almost 30 years overseas we can certainly say that it is a great honor and pleasure to walk with Jesus among the nations. But it is just as great an honor to share Christ with your neighbor. It is a great honor to walk across the street to share Christ with your neighbor. A large percentage of people in America, along with most of the Western world, do not believe that Jesus is the Son of God, nor is He the only way to eternal life. 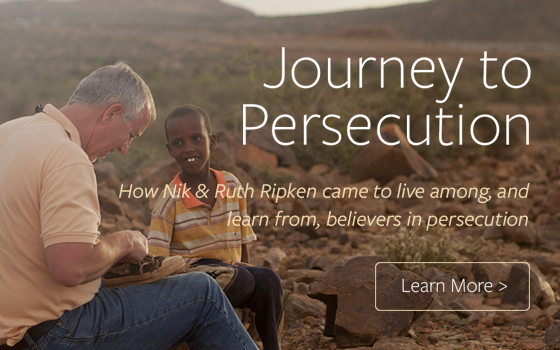 Believers in persecution remind us that persecution in the Bible is normal. Suffering for Jesus is as common as the “sun coming up in the east”. We are grateful for those who support NRM financially. 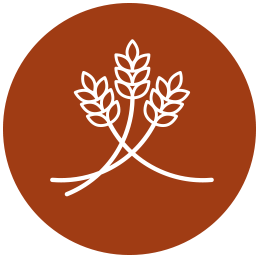 Your generous gifts allow us to create resources that share truths and practices learned from believers in persecution so God’s Kingdom is expanded. 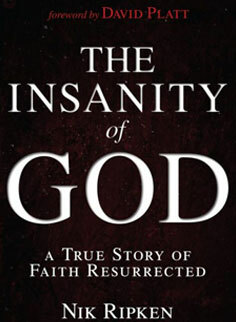 The Insanity of God film is a documentary of the true story of missionaries Nik and Ruth Ripken. After the death of their son, this ordinary couple journeys into the depths of the persecuted church, interviewing believers and asking the question- IS JESUS WORTH IT? 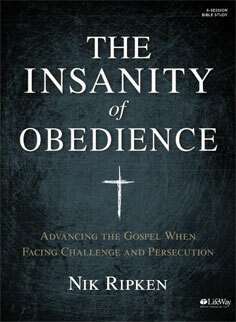 The Insanity of Obedience book is a bold challenge to global discipleship. Nik Ripken exposes the danger of safe Christianity and calls readers to something greater. 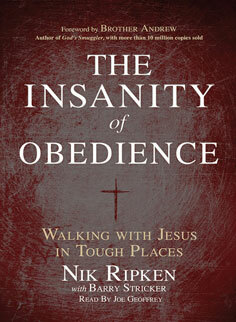 The Insanity of Obedience challenges Christians in the same, provocative way that Jesus did. This book dares you-and prepares you-to cross the street and the oceans with the Good News of Jesus Christ. 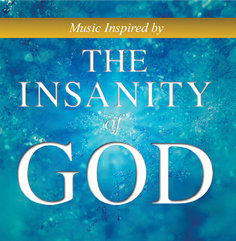 Inspired by the incredible stories from the The Insanity of God book series, Relive the experiences through music by Todd Smith, Brandon Heath, Selah, No Other Name and others in the Music Inspired by The Insanity Of God. Available now at LifeWay Christian Stores, iTunes, and other outlets. This new 6-session study is perfect for individuals or small groups. 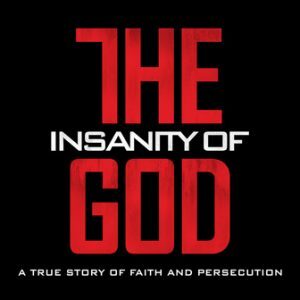 Using clips from The Insanity of God movie, this study explores the power of stories in advancing the gospel when facing challenge and persecution. 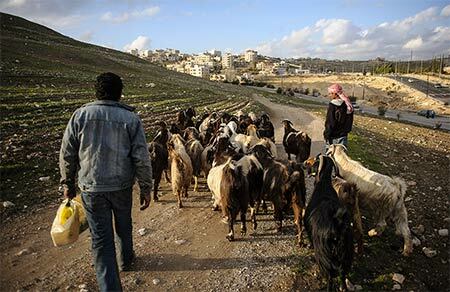 How do we begin to walk and work with God, especially in dangerous places? Leader kits and student books available now at LifeWay Christian Stores and other outlets. 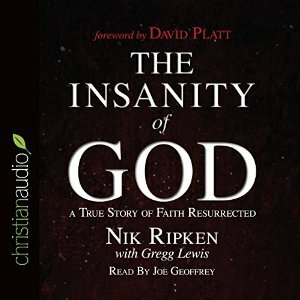 The Insanity of God audiobook is available on CD and as a download for Kindle, Nook and IOS and other formats. Narration is by Joe Geoffrey. 9 hours and 48 minutes. Available at Amazon, Barnes and Nobel, iBooks and Christian retailers. 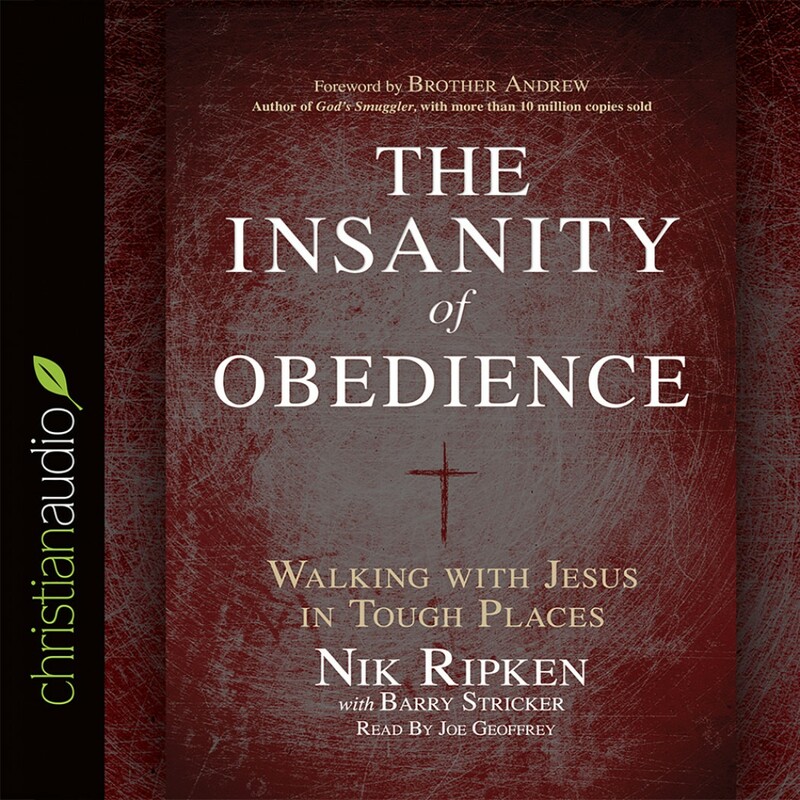 The Insanity of Obedience audiobook is available on CD and as a download for Kindle, Nook and IOS and other formats. Narration is by Joe Geoffrey. 10 hours and 30 minutes. Available at Amazon, Barnes and Nobel, iBooks and Christian retailers. 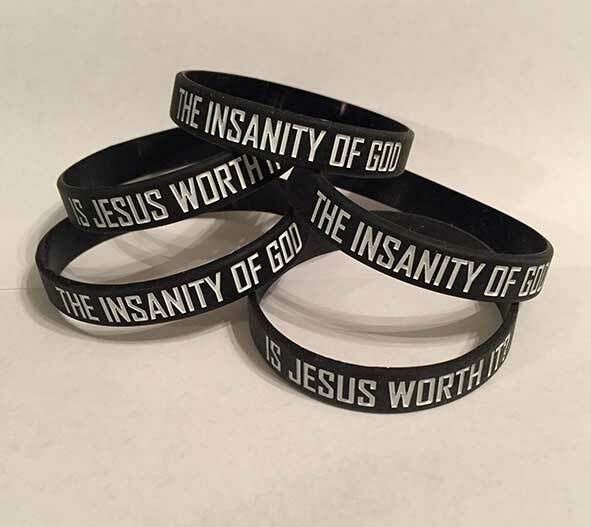 The Insanity of God wristband reminds you to pray for believers facing persecution and to answer the question- IS JESUS WORTH IT? It is also a great conversation starter and witnessing resource. For teens and adults. Contact Nik Ripken Ministries concerning workshops, speaking engagements, comments, or questions.